Goodbye bonkers – HubNut – celebrating the average! I’m not a fan of consumerism. It sits hand in hand with capitalism, slowly turning the world into a big bowl of ultra-safe magnolia blandness. Ugh! Marketing has far more say in the things we buy than clever people like engineers. Gone are the days when an ego-maniac like Issigonis could tell everyone to sod off while he churned out the cars he thought we should be driving. His Morris Minor and the Mini remain two huge motoring icons. Car companies were a lot more fun when one person stood out above all others. André Citroën employed geniuses like André Léfèbvre to almost single-handedly create some of the most iconic vehicles ever created. The Citroen Traction Avant, 2cv and DS are all attributed to him, even if he worked with others to create them. There you go. Just two designers/engineers and five of the most astonishing cars of all time. Issigonis was usurped by Harris Mann, who just drew up sketches based on things normally used to stop doors from slamming shut. It was the start of things going wrong and can you name someone who’s designed and engineered a car currently on sale? No, I can’t either. Another top boffin was Spen King. The Rover P6, SD1 and Triumph TR7 all benefitted from his skillful approach to chassis design, but my favourite of his endeavours is the Range Rover. This astonishing vehicle absolutely stumped the marketing department. They had no idea what to do with it. Incredibly, management went ahead anyway and another absolute icon was born. There was no reason for it to exist, but it did and it remained in production with remarkably few changes for 25 years. Sure, great men don’t always get it right. Spen King was behind the flawed Triumph Stag engine and gave us the Maestro, Issigonis proved how out of touch he was with reality by thinking the utilitarian Landcrab would appeal to executives and Léfèbvre became convinced that cars with a narrow rear track were the future – despite the fact they fell over a lot. In fact, motoring history is littered with brilliant-but-truly-hopeless designs. Long after André Citroën’s demise, the company bearing his name went truly mad and created the SM. Stunning looks were allied to hopeless interior packaging, hydraulic complexity and an exotic Maserati engine that was quite good at melting itself. Remember this was also a time when Citroën was experimenting with the rotary engine – even building a helicopter powered by one of its Wankel-theory engines. They’d obviously gone quite mad. Sadly, this is no way to make money and yet again, Citroën ended up in trouble. Boring old Peugeot bailed them out and steadily set about taming its quirky rival. This peaked in the late 1990s when most Citroëns were about as exciting as net curtains. And uglier. These days, a C6 is seen as exciting because the rear screen is a bit curvy – which the CX already had back in 1975. It’s a sad state of affairs. Oddly, it was Renault that overdosed on loopy pills at around that time. First they turned the bland Scenic MPV into a chunky 4×4, then they decided that the best way to build a super car was to put a V6 engine in the back of their shopping trolley Clio. 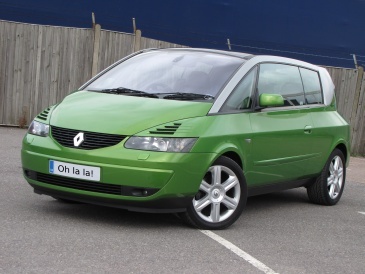 This was just warming up though, because in 2001, Renault unveiled the Avantime. Quite why Renault thought the world needed a sports coupe based on a people carrier is anyone’s guess, but then who at Land Rover decided that what 4x4s really needed was car-like suspension and a 100mph top speed? Sometimes it takes a brave move to garner success. The Avantime truly was a brave move. Matra was already building the plastic-bodied Espace for Renault, and leapt at the chance to build the Avantime. Clever double-hinged doors held up development and all for the minor benefit of doors that don’t open quite as wide as you’d expect. The big talking point was that backside though. Good grief! This was something else. It was ridiculous. It truly was one of those concept cars that you never think will reach production. But the Avantime did. 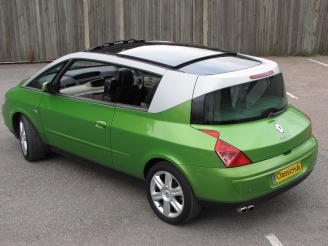 The impact has been lessened somewhat by the smaller Megane II, which brought quirky arses to the masses. It’s still very daft though, and about as practical as an L-shaped guitar case. The problem was, Matra had been sold a dud. Renault launched another quirky executive car – the bizarre Vel Satis. 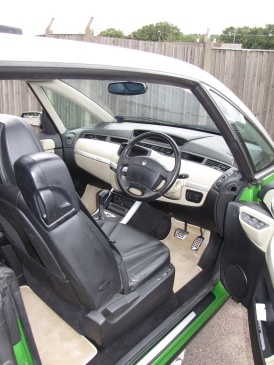 This was more practical – it had rear doors and everything – and sold better. Only 8577 Avantimes were sold and it helped destroy Matra. This French firm built some impressive machines during its life – from three-seat sportscars to the ahead-of-its-time Matra Rancho – but was effectively killed off by Renault. And guess what! Renault could now make the Espace itself, out of steel, in its own factory, for greater profit. I’ve never forgiven Renault for this. Manufacturers should be encouraged to build ‘crap’ cars every now and then. But they won’t. They’re too scared. Anything outside the norm is considered too risky as it won’t keep the shareholders happy. This is why a Ford Focus seems rather similar to a Kia, and why Citroën these days builds blingy MINI-clones instead of interesting cars that are a bit silly and leave unusually colourful puddles on the ground. But, enough mithering. It’s probably about time I got to the road test bit. Actually, I’m not sure I’m going to. You see, this is a car that’s almost entirely about the looks. I can merely conclude that even with a punchy V6 engine, the Avantime’s driving experience can in no way get close to the impact of those looks. Therefore, it is one of very few cars in the world that I implore you to own but not to drive. Just look at it. It never gets boring. By the way, if you’ve made it to this point, well done and thank you for proving that not everything on the internet needs to be snappy and short. If, on the other hand, you aborted after the first paragraph then you’re a big smelly bumface. Have a nice day! Agree about Citroen, McPherson struts! Pah! 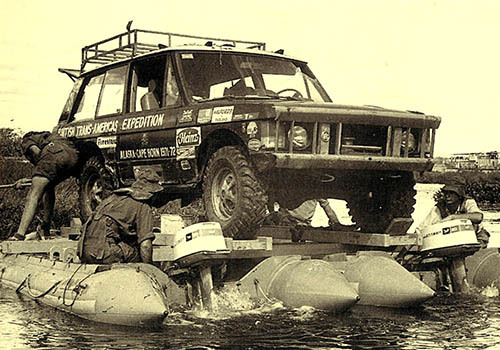 As it happens, the BX uses MacPherson struts – though thankfully still allied to hydropneumatics. Not a bad compromise.